...although the other medium wave state frequencies continue on air, run by the Thessaloniki based occupiers of ERT 3. 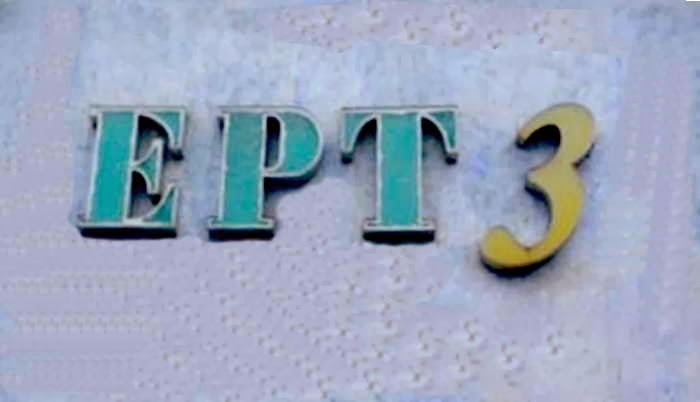 Thirty days ago the government decided to end the occupation of ERT headquarters offices in Aghia Paraskevi, Athens, ordering police forces to evacuate the building. Some days after that, the main medium wave frequency of 729 kHz passed to the so called “Greek Public Radio” (pro government) for the first time after the closing down of ERT, six months ago. It is supposed that “Greek Public Radio” is the successor of ERT, but in actual fact, with some exceptions of qualified personnel, the resulting programme is poor, amateur like and miserable. Any time, it happened to tune in, I listened to lounge style music, lots of bossa nova rhythms and talks about marginal cultural events. Of course the whole thing is full of mainstream political analysis. It is the same recipe followed by the big newspapers and commercial FM radios; promotion of right wing economics and leftist cultural topics. On the other side, the Thessaloniki based occupiers control the powerful medium wave transmitters of Komotini, 1404 kHz, Rodos, 1260 kHz and Chania, 1512 kHz .Their style is different. They started the occupation of ERT with a certain left rhetoric, but soon they shifted to a simple patriotic word in accordance with the audience will. An observer from outside could think that we live in a totally divided country where government and opponent forces control different areas of the national territory, preparing themselves for their final battle. Personally, I see it as a boring act of tired enemies who often change camp and opinions between themselves, in a country with aging population, unwilling to react with a violent way that some could predict. The tired people, well confused, share similar views about the current situation, more or less. The attitudes of the media depend on the interests of the owners, so one would need inner information to understand every time what actually goes on, and why the journalists support that but not the other. Αναρτήθηκε από ΡΑΔΙΟΑΚΡΟΑΤΗΣ στις 1:13 π.μ.